Japan has a rather strict approach towards gambling and very few forms of gambling are actually permitted. Japanese online gambling laws are basically identical to the offline gambling laws. Japanese gamblers CAN place real cash wagers on the horses and on one of very few sports, but only at strictly regulated gambling portals. Most other forms of gambling in Japan are still illegal. Back in 1974, telephone betting was set up and this service was designed to cater for punters who didn’t live near a race track or near to a land based betting establishment. Japanese gamblers, through a subscription service, can basically place wagers on certain events using a telephone, or a mobile or computer device with internet. Any transactions that are processed with today’s legally permitted Japanese gambling portals are dealt with through a subscriber’s bank account at the conclusion of each event. The two organisations which are legally permitted to offer such services include Soku-PAT and A-PAT. There are also two internet-only banks in Japan called the Bank of Rakuten and the Japan Net Bank and these two institutions are both allowed to sell sports lottery tickets via their portals. A bill was submitted back in April 2013, with the intention of trying to liberalise and eventually legalise land-based gaming venues such as casinos, but in 2015 there is still no change despite widespread support from major political parties. All forms of sportsbetting is also on this same agenda. For now though, Japanese players who want to gamble in an online casino will have to do so at one which is licensed offshore and therefore owned by a foreign operator. There are currently no laws in place which can prosecute Japanese gamblers from placing real cash wagers at these venues, but it’s best to do so from the comfort of your own home and not from a shared computer such as a library computer or an internet café computer. In short, Japanese have access to some of the best online casino in the world and they are powered by some of the world’s leading online casino software providers. Most of these gaming sites are licensed in Malta (by the Malta Gaming Authority – formerly the Lotteries & Gaming Authority of Malta), in Gibraltar (by the Government of Gibraltar), in Curacao (formerly Netherlands Antilles, by the Curacao Internet Gaming Association / CIGA), in Antigua and Barbuda (by the Directorate of Offshore Gaming), in the United Kingdom (by the UK Gambling Commission) in Alderney (by the Alderney Gambling Control Commission), or in one of several other major jurisdictions. Unfortunately not all of these sites can be displayed in Japanese and they do not always have a great deal of Japanese online payment options available, but most of them accept Japanese Yen and they are all free to sign up to. Visit our online casino review section to find out where you can play if you are based in Japan. 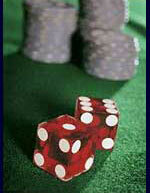 Gambling in Japan - Article on Wikipedia that looks at and discusses gambling in Japan.